Our Italian Food, Wine & Travel group is taking you back to Tuscany this month as we dig a little deeper into Chianti. I'm heading back to the same area of Tuscany in the province of Pisa as this time I explore the Sangervasio winery in the Era Valley. Yes, there is lots to cover when it comes to Chianti and it's subzones and communes, but it's also nice to compare wines from the same area, but different producer and processes/methods used. Sangervasio is named after the town of San Gervasio where they are located only 15 miles from the Tyrrhennian Sea. Their 55 acres of vines exist on ancient seabeds displaying lots of minerals in the wines. The winery likes to produce wines in a more modern styles incorporating some international varieties along with the indigenous grapes of the area. They also grow their grapes organically and biodynamically and are hand harvested and go through fermentation with natural yeasts. 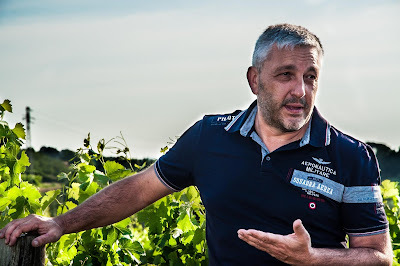 I interviewed Lisa Tommasini, the daughter of the Tommasini family, as she shared insight into the history and wines of Sangervasio. Tell me about the history of Sangervasio and when it was founded. Sangervasio is a medieval village built in 900 AC on a top of a hill in the surroundings of Pisa. My grandfather, Furio, was born in the countryside and was always connected to the country life. In 1960 he had the opportunity to make this investment. At that time Sangervasio was the typical Tuscan farm, with animals, olive oil, seeds and wine production. Everything changed in 1994, when my father Luca wanted to try to make high quality wine. He met Luca D’Attoma, who has been our oenologist for 20 years, and together they started this new adventure. In 1996 the whole estate has been certified organic. What is special about Sangervasio and the vineyards/area where you are located? Sangervasio is located in a unique place, 200 meters high, 35 kms far from the coast. The influence of the ocean is very important, as the breezes contribute to clean the air from pollution or humidity that could affect the grapes. The soil is pliocenic, rich of minerals, sand, clay and fossil shells. In this special environment the vines grow without being stressed too much as the soil is also rich of underneath water. What are your flagship wines or those that you pride yourself on? Our flagship wine is A Sirio, dedicated to my grand-grandfather. The first vintage of this wine was 1995 and since then we worked to increase the quality now making it with 100% Sangiovese, as we did with the 2015 vintage. I think that A Sirio is the real expression of our sangiovese since only the best grapes are used to make this wine. A hard selection is made both in the vineyards and in the cellar. Recently they presented the 2015 vintage during the 20th anniversary party at the winery. 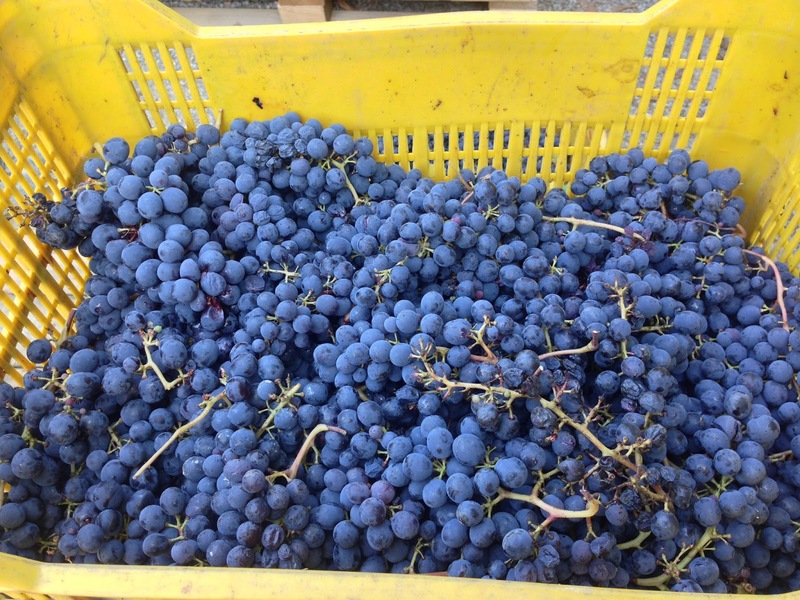 Why has the winery chosen to produce organic wines? Being organic for us is not for the market. 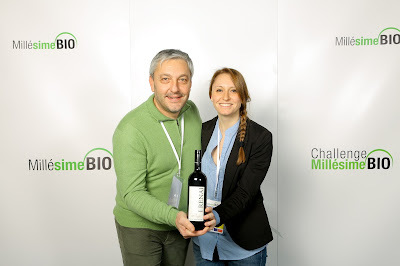 We were the first winery to be certified in the Pisa district and at home we always had organic food since I was born. My parents have been pioneers on this so it was normal to take the organic philosophy inside the family winery. We have to protect our land and the environment we are living in. I sampled the 2015 Sangervasio Chianti DOCG that is 100% sangiovese based from organic grapes. Filling the palate with cherries, lively acidity and solid tannins. Plus, the terroir is reflected in the minerality from the soil of this area. Aged 6 months in concrete tanks plus at least 4 months of bottle aging. For all you Chianti lovers there is plenty more to join. Check out my fellow Italian wine lovers as they share their wines of Chianti with you. If you catch this in time you can live chat with us on Twitter Saturday November 4th at 11am EST at #ItalianFWT. Look forward to seeing you there! 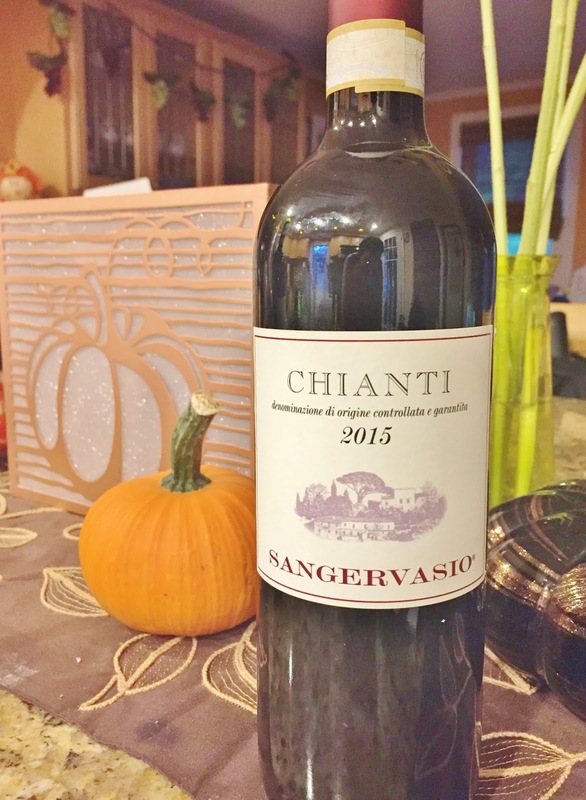 Jen from Vino Travels takes us Venturing through Chianti with the Sangervasio Winery. Jeff from FoodWineClick will serve as our guide to Exploring Chianti Rufina with Marchesi Gondi. Gwendolyn from Wine Predator will tempt us with Five Chiantis and a Vermentino Paired with Puttanesca (#ItalianFWT). 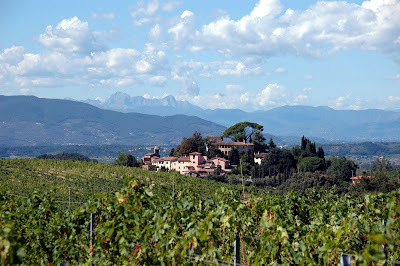 Katarina from Grapevine Adventures brings us 2 Chianti Classico Wineries, 2 Different Sub-Zones at #ItalianFWT. Camilla from Culinary Adventures with Camilla offers up Sangervasio Chianti with a Soup from Brazil. 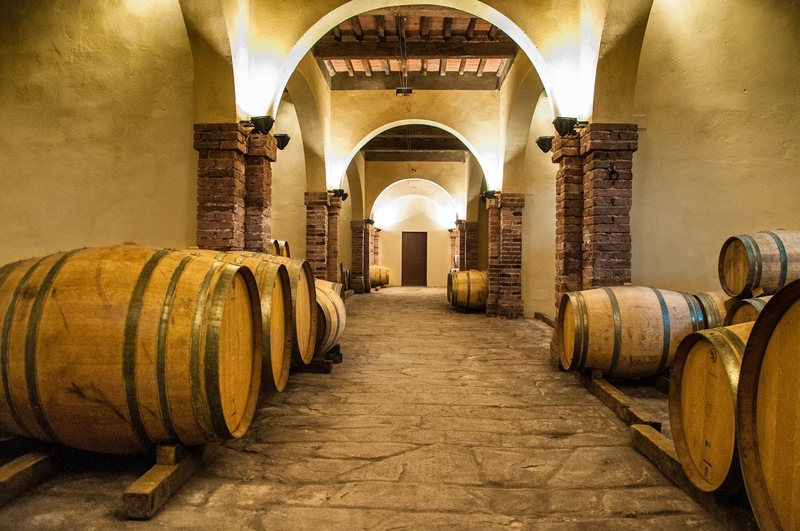 Tracy from The Traveling Somm shares her experience of Living the Dream in a Relais and Chateau in Tuscany. 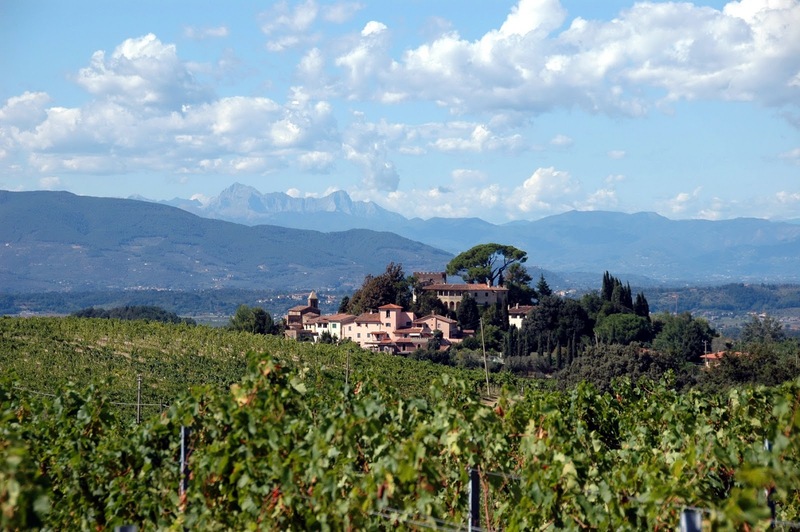 Lauren at The Swirling Dervish will compare Two Weeknight Wines: Chianti Classico and Chianti Colli Fiorentini Riserva. *This wine was provided as a sample, but opinions are my own. Most pictures copyright of the Sangervasio winery.